THE MAYOR OF Ennis has hit back at claims that the Clare town is racist following the jailing of a man for an attack on a black taxi driver in the town. Independent councillor Michael Guilfoyle said that integration is “alive and well in Ennis”, and that he took exception to the portrayal of the town in the media after the attack. “There are people from 26 different nationalities living in the town and we work hard to make every effort to make sure they enjoy living here,” he told TheJournal.ie. “The depiction of Ennis as racist is not the town I know,” Guilfoyle said. The Mayor made the comments after a man was jailed for 9 months last week for an assault on the Nigerian-born taxi driver. The assailant knocked out two of Bartholomew Omoifo’s teeth and subjected him to racist abuse. 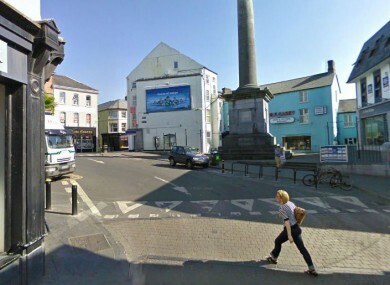 Guilfoyle condemned the assault on Omoifo, noting that local media had portrayed the town as a racist place and he had “taken exception to that – Ennis is not a racist town”. Green councillor Brian Meaney raised the issue at a meeting of Ennis Town Council earlier this week when colleagues from other parts of Clare had suggested to him that Ennis was a racist town, Guilfoyle said. One of the largest taxi drivers groups last week said that it was “not aware” of any widespread racism against black taxi drivers.